Wrap yourself in the Softness of the luxurious 100% cotton sheets like those found in World Class Hotels. These fine luxury bed linens are crafted from long staple Combed cotton. Comfort, quality and opulence set our luxury bedding in a class above the rest. Elegant yet durable, their softness is enhanced with each washing. If you have never experienced the luxury and elegance of high quality sheets.... try it! There is a difference ! 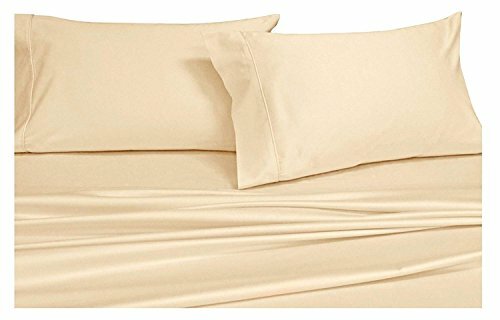 Fits mattresses up to 14" - 18" inches deep with elastic all around the fitted sheets. If you have any questions about this product by Royal Hotel, contact us by completing and submitting the form below. If you are looking for a specif part number, please include it with your message.